Prime Minister Justin Trudeau told a St. Catharines, Ont., audience tonight that Indigenous people in Canada have long had the wrong end of the stick. 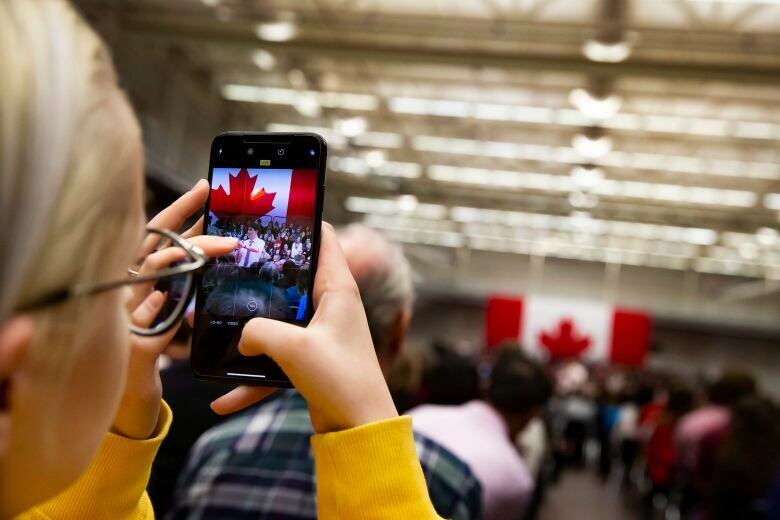 Trudeau was speaking at one of a series of election-year town hall meetings he's holding across the country. Prime Minister Justin Trudeau told a St. Catharines, Ont., audience tonight that Indigenous people in Canada have long had the wrong end of the stick. 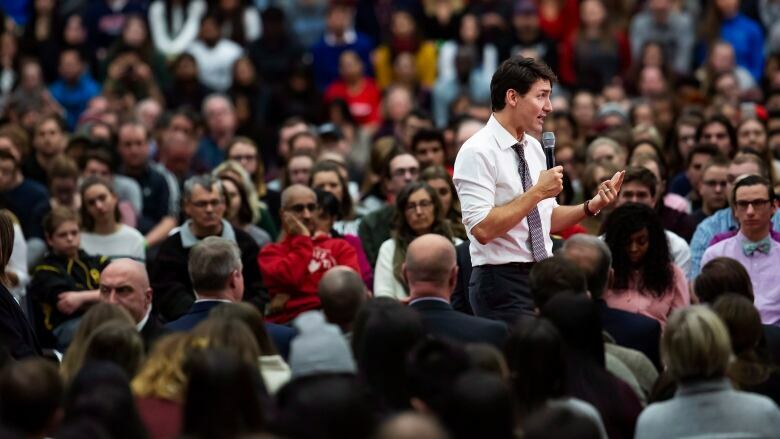 Trudeau was speaking at one of a series of election-year town hall meetings across the country, this one at Brock University. He was asked about the situation in northern British Columbia, where the RCMP recently broke a pipeline blockade by the Wet'suwet'en people. "You have allowed forcible removal of Wet'suwet'en First Nation people from their land," one audience member said to loud applause. "Would you please explain in relatable, truthful language why you are allowing this to occur?" Trudeau responded by saying Canada's government has for generations failed to live up to the spirit and intent of the original treaties, with residential schools and a skewed legal system the result. The Wet'suwet'en situation, he said, is an "unfortunate example" of where Canada hasn't done well enough, although he said some of their elected officials were in favour of the pipeline. At the same time, he said Crown-Indigenous relations have improved — even if they have some distance to go. Outside the university, a small group of oil-pipeline protesters blocked a main entrance to the campus, forcing motorists to find other routes to the event. Inside, the odd heckler tried to make a point but the prime minister, who faces the electorate in October, handled them easily and moved on. Organizers said about 1,500 people — students and other area residents — filled the campus gymnasium to capacity. Many waited in long lines in the cold night air to get in, while some were turned away for lack of space. At the same time, he said, there are those who would "amplify those fears" for short-term political gain and play to people's insecurities. He cited the 2015 election in which he said he aimed to stay away from attack ads and strike a positive tone. It's the same game plan he plans to pursue in October, he said. "Sometimes, packaging really simple easy-sounding solutions can be very compelling," Trudeau told the appreciative crowd. "What I'm trying to make sure we do in this coming year of an election year in Canada is come together to have real conversations, make sure there's room for us to disagree on a certain issue." Trudeau reserved some of his harshest words of the evening for Nicolas Maduro, the 56-year-old Venezuelan president since 2013 who is presiding over a country in increasing crisis. 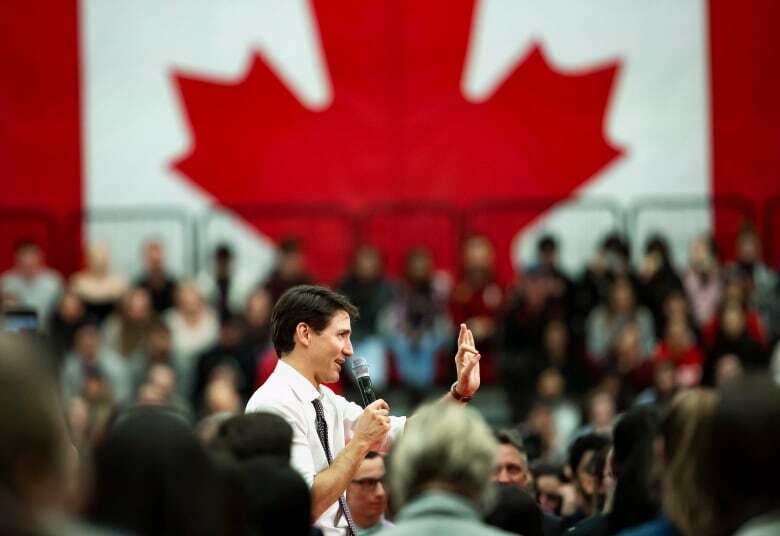 He slammed what he called the dictatorship of Venezuela as he tackled audience questions ranging from Canada's approach to Indigenous issues to immigration and foreign policy. One audience member asked if Trudeau would retract his condemnation of the anti-Israel boycott, divestment, sanctions movement — BDS. The Liberal leader would have none of it. The problem, he said, is that resurgent anti-Semitism has become widespread — much of it directed at Israel — and the BDS movement on Canadian campuses has made some students feel threatened.